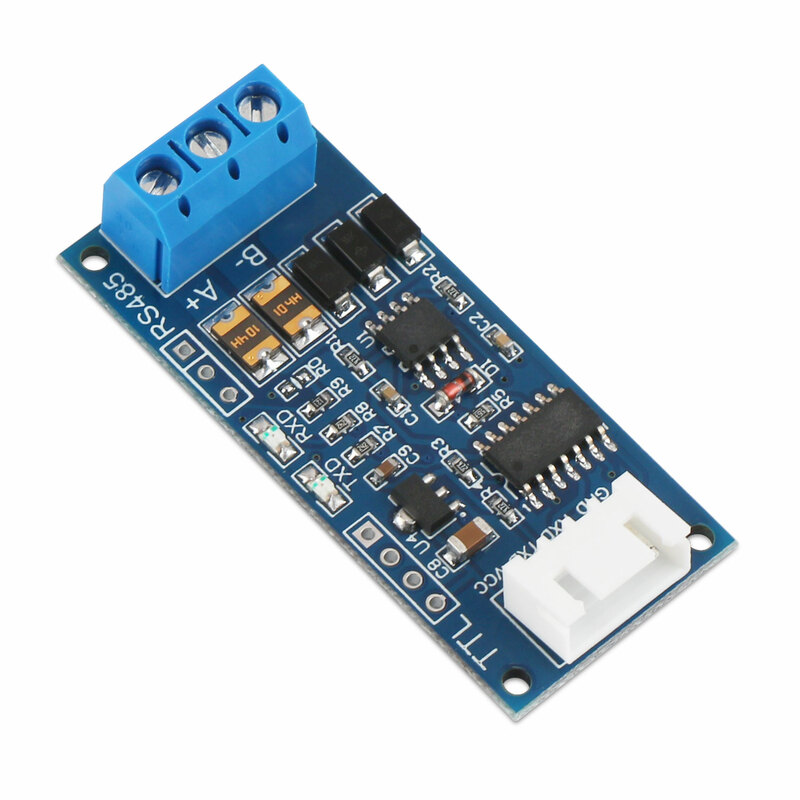 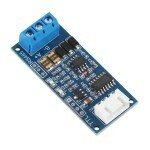 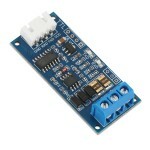 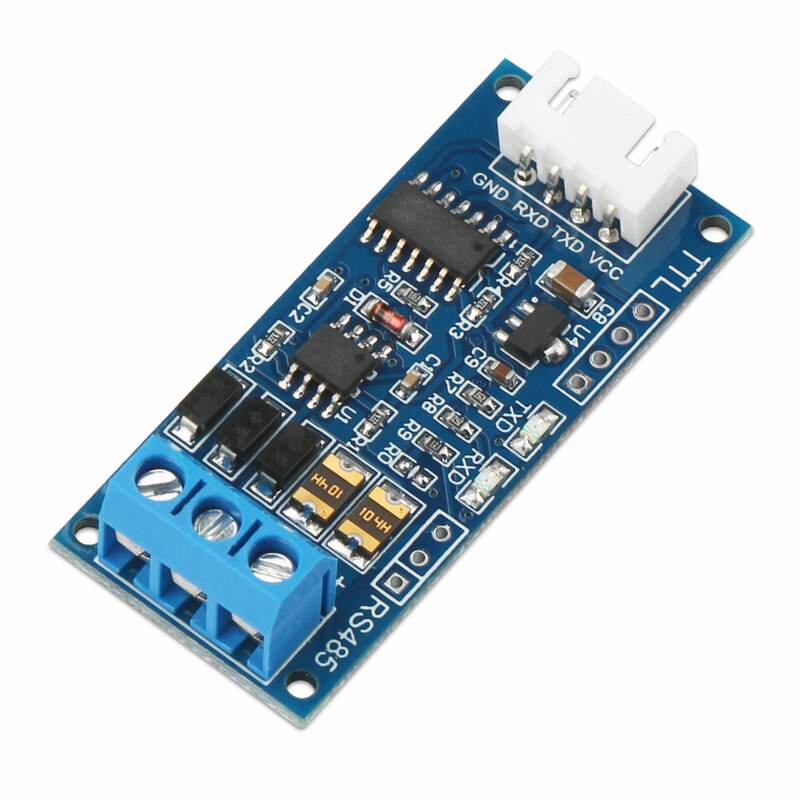 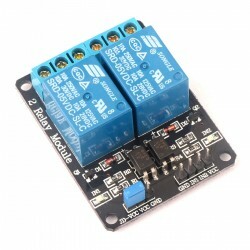 It is a 2-Channel 5V Relay Module,Equipped with high-current relay, AC250V 10A ; DC30V 10A,With o.. It is a TTL To RS485 Module/Converter Module, Operating voltage range: DC 3.0V ~ 30V, Baud rate: 110 ~ 256000bps, has a very high EMC and EMI performance. 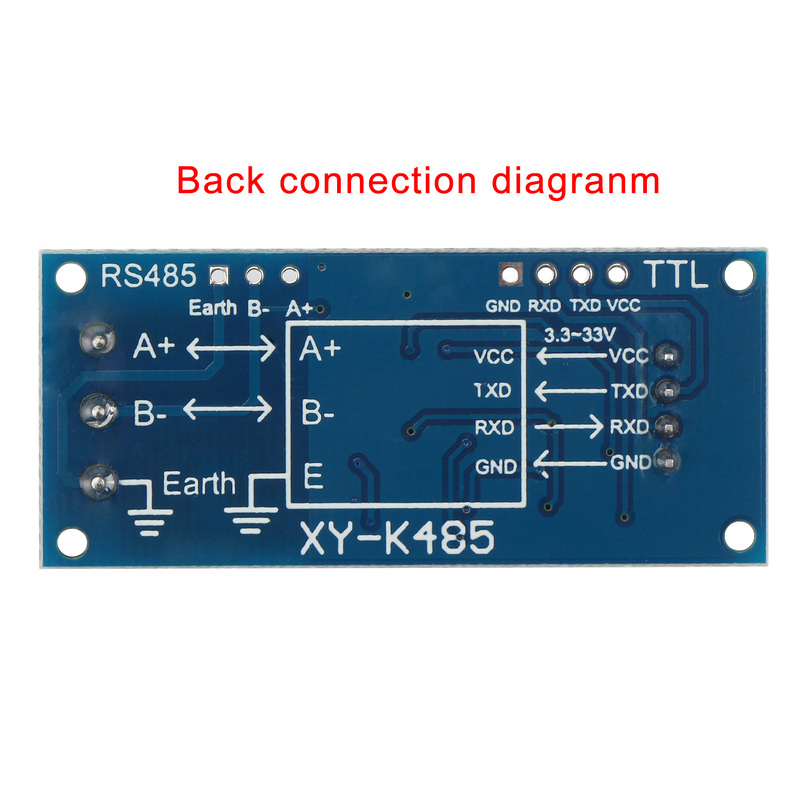 support multi-machine communication, the same network can connect at least 40 nodes. 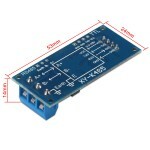 can be hot-plugging, there will be no signal plug phenomenon. 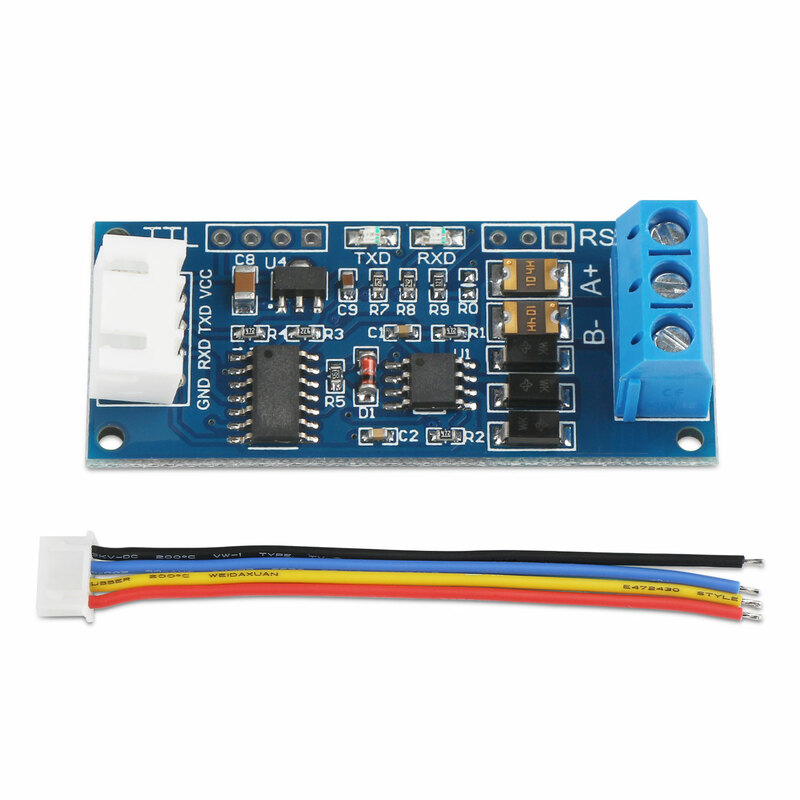 (1) wide operating voltage range DC 3.0V ~ 30V, the limit voltage is 33V, it is recommended to use within 30V, the minimum voltage is higher than 2.8V. (2) compatible with 3.3V and 5.0V signals. 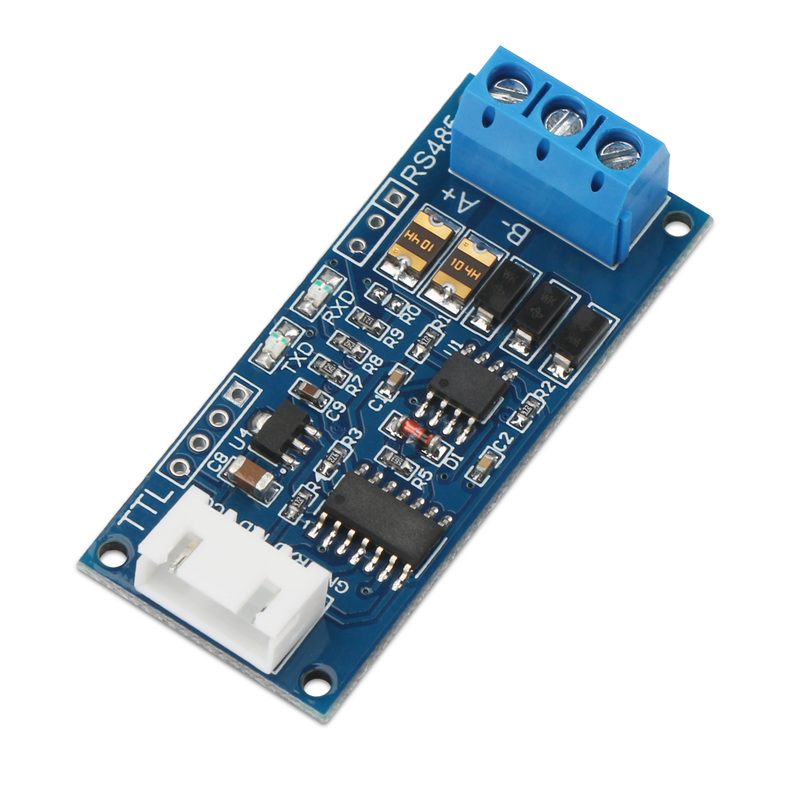 (3) has a very high EMC and EMI performance. 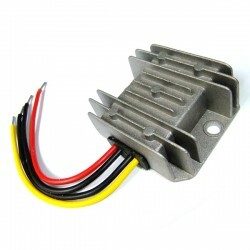 (4) using imported chips, industrial design, anti-interference ability, and with powerful 485 lightning design, can be used in harsh environments, such as industrial, field; operating temperature range is -40 °c to +85 °c, transmission Distance can be up to kilometers (test with 850 meters of 2 * 1.5 cable, it is recommended to use within 800 meters, more than 800 meters please add repeaters). 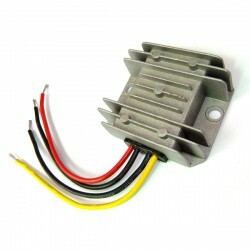 (5) with a terminal block and silicone wire, the use of very convenient. 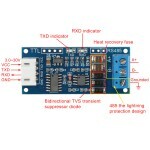 (6) equipped with RXD, TXD signal indicator, convenient to know the send and receive situation. 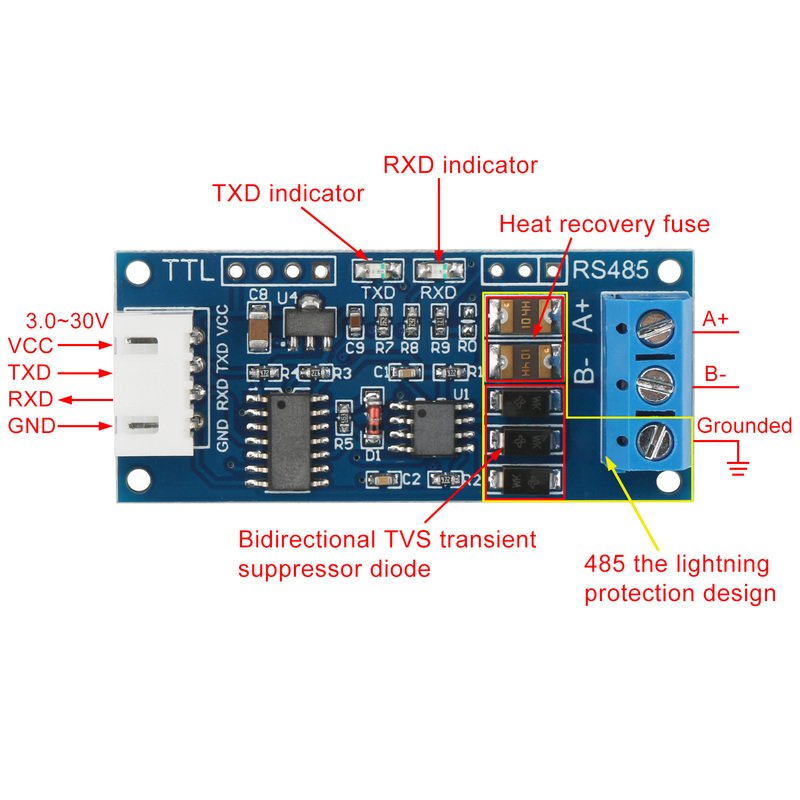 (1) the 485 bus is with lightning protection and anti-jamming function, with high EMC, EMI performance. 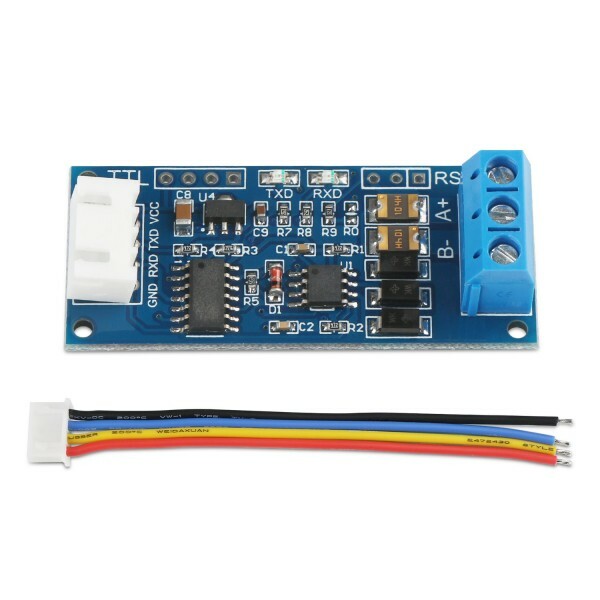 When using for long-distance transmission in the field, the module EARTH side please connect to the ground, can achieve well anti-interference and lightning protection function; for indoor short-distance transmission, it cannot connect to ground. (3) to enable the built-in 120 ohm termination resistor then, short R0 on the last module on the RS485 line and we would recommend shorted for long-distance transmission. 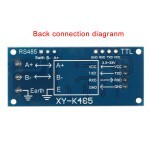 (4) support multi-machine communication, the same network can connect at least 40 nodes. 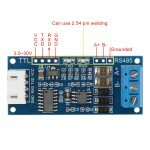 (5) can be hot-plugging, there will be no signal plug phenomenon. 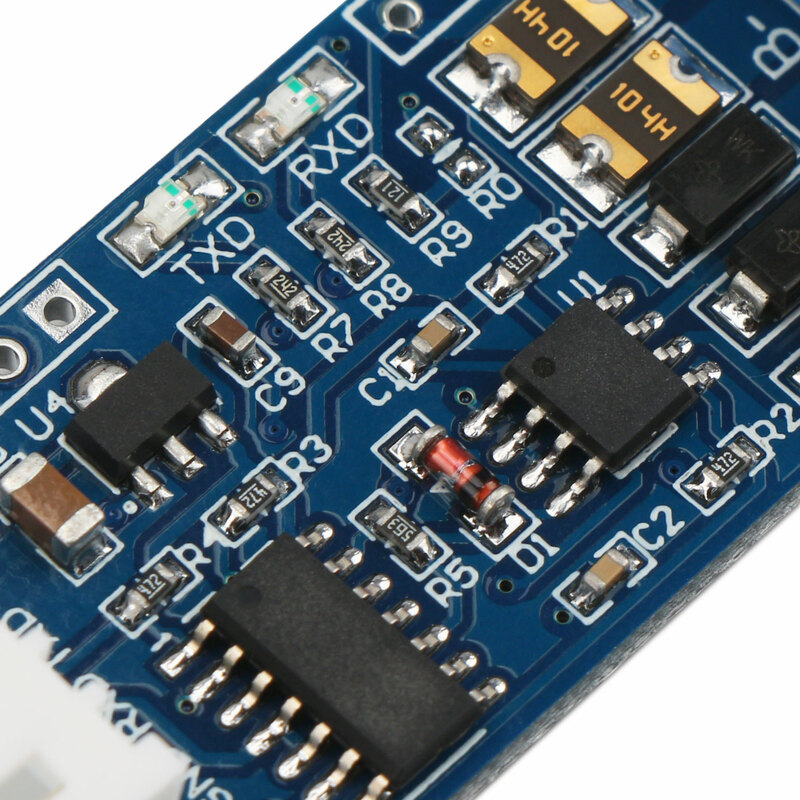 (6) using anti-jamming alignment and copper to prevent signal interference.